I think I’ve said this before, but I love dark beers. I especially like big beers; I love all these craft brewers making imperial style beers. 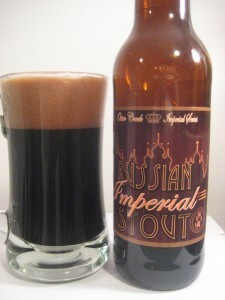 My local liquor store carries ten’s of stouts, but this is the only Russian stout I’ve seen there. 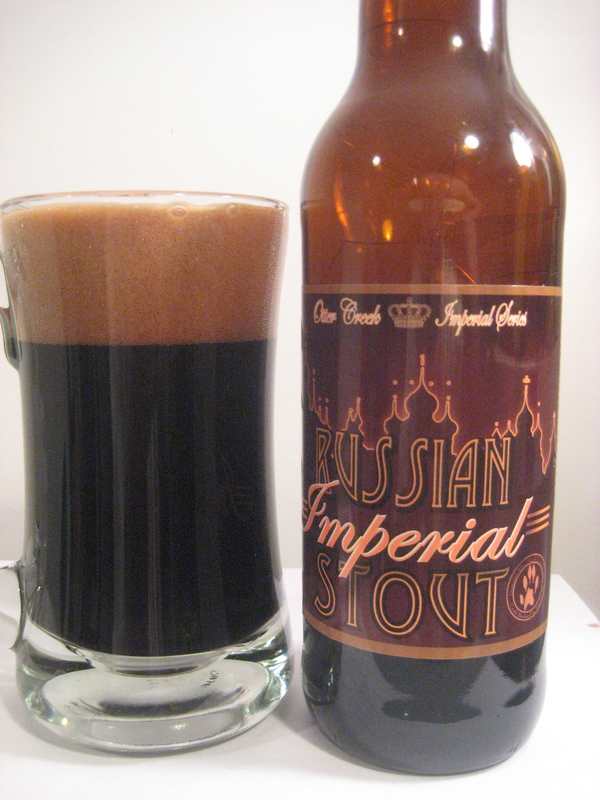 Of coarse, I had to try this Otter Creek Russian Imperial Stout and see if it is as big as the label boasts. This one fooled me, I started with what I considered and average pour( glass at 45 deg) and there was no head. I moved to a slightly harder pour and the head exploded into a dark thick head. Inky blackness, there are stouts that are very dark, but when you drink enough of them you start to notice the shades as it is poured, this one was B-L-A-C-K! No reddish hues what so ever. Not only was the beer dark, also the head was a dark cream color almost brown. A very promising start. I could smell this beer as I poured it, very strong chocolate aroma with notes of smoked nuts and coffee. Very luscious. Very intense beer, exactly what I expected from a Russian Imperial Stout. Tons of hops in this beer, the bitterness of the hops is nicely balanced with the chocolate sweetness. A Big bold beer, 10.6% ABV, a very strong heavy beer. I really enjoyed this beer. I was surprised to read on the label the beer had 65 IBU’s I would have thought there was more in the beer.